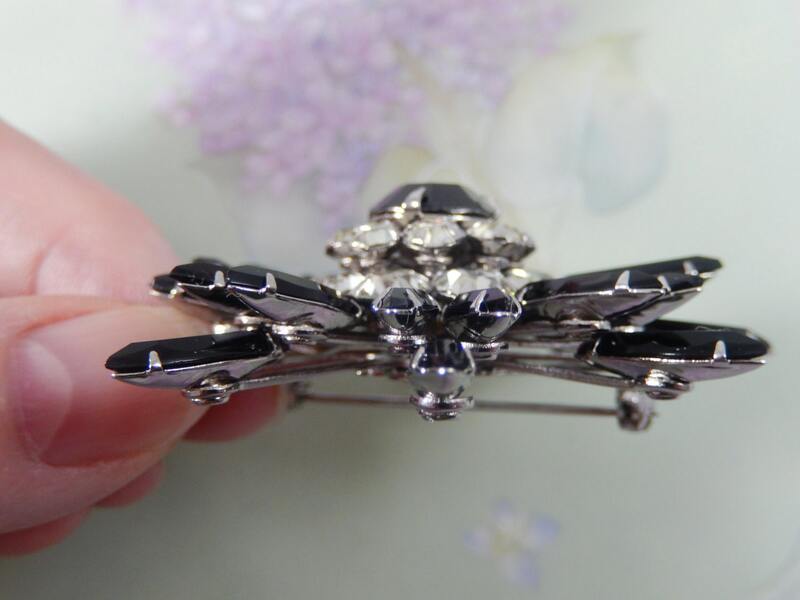 This is a gorgeous vintage JUDY LEE signed silver tone brooch. 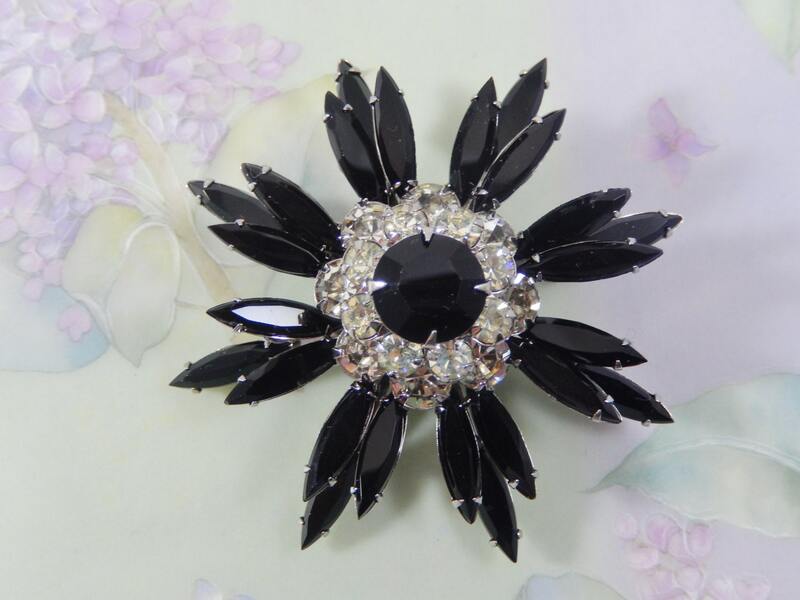 There are five tiers of black and clear faceted rhinestones that are all prong set. 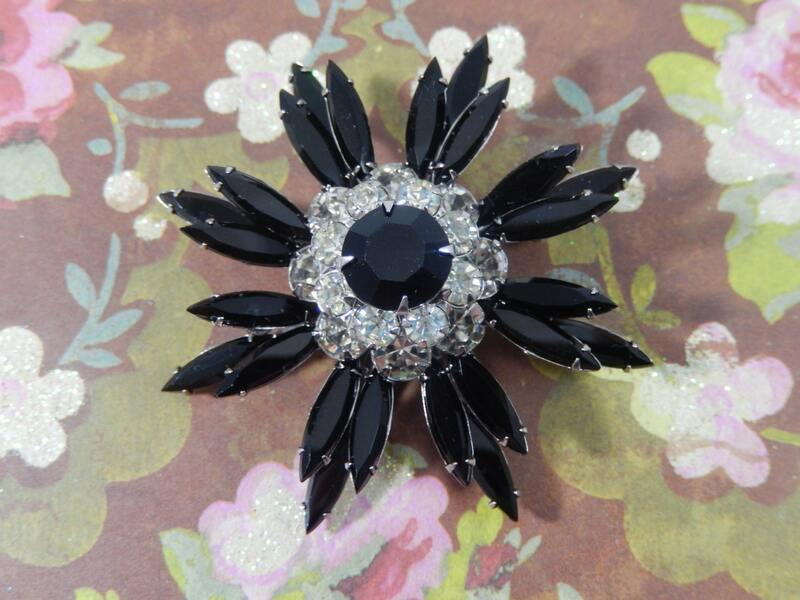 The center is a large black round rhinestone surrounded by two tiers of sparkling clear round rhinestones. Underneath this are black navettes in groups of three as layered petals. 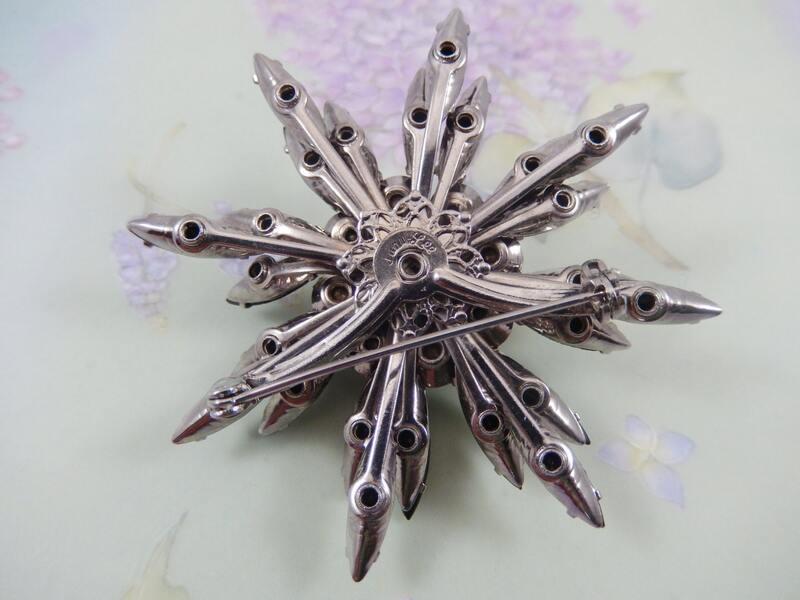 It measures 2 1/2" in diameter and the pin closure is straight and works smoothly. It is in wonderful condition and is very sparkly. This would be an awesome gift or a fabulous addition to your collection...would look awesome on a lapel or sweater!!! The clear rhinestones are all clear and sparkling...it was hard to take a picture without glare in the stones!